By far, the incident that sparked the most interest was the Japan earthquake and tsunami. Pew looked at the most popular videos in the “news & politics” section of YouTube over those 15 months and found that 5 percent of the 260 videos related to the Japanese disaster. Given that 70 percent of YouTube traffic comes from outside the U.S., it’s not surprising that the top three news videos were related to non-U.S. events. After the earthquake/tsunami, the Russian elections and the unrest in the Middle East topped news-related video views, Pew said. Natural disasters and political upheavals were the most popular news video topics. People did not figure prominently; “No one individual was featured in even 5 percent of the most popular videos studied here-and fully 65 percent did not feature any individual at all,” Pew found. President Obama, however, was featured in 4 percent of the top videos worldwide, in posts that ranged from speeches to campaign ads from opponents. 28% of Americans age 18 and older own at least one specialized device for e-book reading – either a tablet or an e-book reader. The holiday season saw a huge boost in ownership for both e-readers and tablets. Both jumped 9%, meaning that nearly one in ten Americans received a device over the holidays. The average reader of e-books says she has read 24 books in the past 12 months, compared with an average of 15 books by a non-e-book consumer. 78% of those ages 16 and older say they read a book in the past 12 months. 30% of those who read e-content say they now spend more time reading, and owners of tablets and e-book readers particularly stand out as reading more now. The longer people have owned an e-book reader or tablet, the more likely they are to say they are reading more. The prevalence of e-book reading is markedly growing, but printed books still dominate the world of book readers. In our December 2011 survey, we found that 72% of American adults had read a printed book and 11% listened to an audiobook in the previous year, compared with the 17% of adults who had read an e-book. There are four times more people reading e-books on a typical day now than was the case less than two years ago. 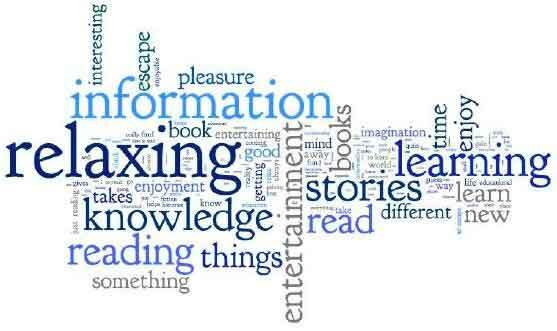 Why people like to read. Data shows smart phones will soon flood the world with pictures, video, and text messaging. In the last data update, I revealed that social network usage is rising, especially in Russia and Egypt. A good sign for the citizens of those disrupted countries. Now, we have data on cell phone use and it clearly shows the rise of smart phones in both developed and undeveloped countries. Japan has the highest smart phone adoption of any country, but it is the near universal adoption of text messaging in Indonesia (96%) that blew me away. Only 2/3 of Americans use their cell phones to send text messages. 80% or more – Kenya, Lebanon, Poland, Mexico, Japan, & China. 70% or more – Britain, Lithuania, France, Russia, Israel, Egypt, Ukraine, & Spain. When it comes to using our cell phones for pictures or video, at least the U.S. is in the top 5. In no country do a majority of people use cell phones to regularly access the internet. *Data is from a Pew Global Poll completed by surveying 1,000 people in each country via the telephone or face-to-face from March-April, 2011. Posted on February 7, 2012 Author robotchampionCategories defaultTags cell phone, global, internet, Japan, mobile, mobile internet, pew, picture, smart phone, sms, text messaging, u.s., videoLeave a comment on Data shows smart phones will soon flood the world with pictures, video, and text messaging. In 15 of 21 countries, at least 25% of those polled use social networking sites. Israel (53%) and the U.S. (50%) top the list. About four-in-ten of all adults in Britain (43%), Russia (43%), Spain (42%), Lithuania (39%) and Poland (39%). Among this group, Russia is the only country where nearly all internet users are on social networking sites. Only 6% of Russian internet users say they do not go on these sites. Germany, France, and Japan are the only countries polled where more internet users say they do not go on social networking sites than say they do. While 35% of Germans use social networking sites, 44% go online but do not use such sites; the comparable numbers are 35% and 38% in France and 25% and 33% in Japan. About three-in-ten are on social networking sites in Ukraine (30%), Turkey (29%), Jordan (29%), and Egypt (28%). Social networking is generally more common in higher income nations; however, this is largely driven by the fact that wealthier countries have higher rates of internet access. People in lower income nations who have online access use social networking at rates that are as high, or higher, than those found in affluent countries. In most of the countries surveyed, there has been only marginal change in social networking use since 2010. Two notable exceptions are Egypt and Russia – countries where the role of social media in recent political upheaval has been the subject of considerable attention. In both nations, usage has increased by ten percentage points over the past year, from 18% in 2010 to 28% in 2011 in Egypt and from 33% to 43% in Russia.